Bali belonging to the clustered islands of South East Asia has high humidity, high temperature and strong sun rays. Be sure to apply sunscreen! I walked for an entire afternoon fully clothed and burnt my neck. For services like tour guides, renting a surf board, renting motorbikes and buying stuff at the market, these are moments where you can improve your persuasion skills and treat it like art. Keep in mind that there will always be a better price. A shirt priced at IDR 150,000 could be IDR 100,000. Be wary that haggling does not apply to boutiques and restaurants. A few hours in and you will already be able to tell the difference. The island has proper roads and highways although there are multiple advantages of getting a scooter. The smaller streets and cluttered parking spaces will not be too bad with one. 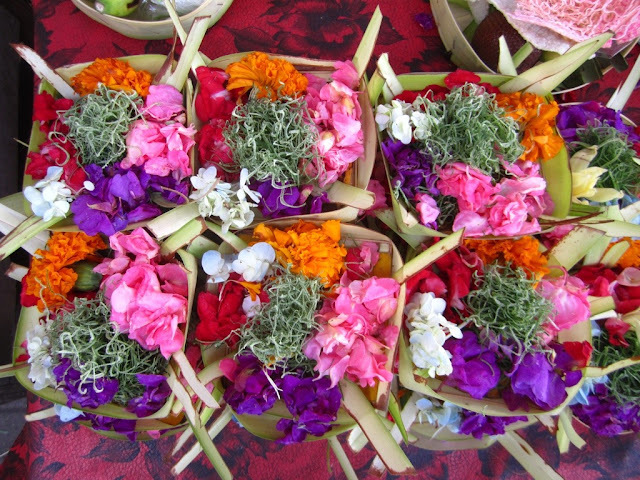 In Kuta and Ubud where supply is abundant, you could easily find one for IDR 50,000 per 24 hours. Be sure to have an international driver's license, which could be processed in your home country prior to leaving. I only had my Philippine driver's license but for as long as you don't break the traffic rules, drive without a shirt, and look like a tourist, you will be fine. I've heard that fines could reach up to IDR 300,000. Driving on the opposite side similar to the UK was a bit challenging for me though. The Waze app was such a great help to get around Ubud. The hotel receptionist gave me a map to direct me to the sights I wanted to visit, but I figured that it would be such a hassle to analyse the roads. Social media definitely influenced my itch for travel after seeing photos of remote places in the world. Thanks to geotagging, pinning down places has not been too hard. In Bali, freelance drivers are always available as an alternative to renting motorcycles and taxis. I would highly suggest to propose a contract to one if you plan to see multiple sights in a day. For up to 6 sights, you could arrange a driver for about IDR 400,000. This saves you the hassle of navigation, getting into a motorcycle accident or having your bike stolen. The driver who also serves as your tour guide could also direct you to better priced restaurants and off track sights. They also have their own business cards for easier communication should you need them again. Located about 30 minutes from Kuta, is a cliffside temple overlooking the Indian ocean. Expect to see hundreds of monkeys here. Prepare to spare a few hours here as it is large and also a good place to just stop and let things go by. One of my personal favourites was this. Purifying ritual that is believed to heal illness and challenges. The act of declaring your prayer and showering with the holy water just hit me strong. I wanted to take part of this but when we came, it was a special day for the Balinese wherein it was packed with many locals. You could just observe and feel each and every person's sincerity. This temple took me by surprise. I walked up to the highest point and found a shrine. When I entered, a man who performed rituals to Buddha invited me to join. He anointed me with rice on the forehead and I began to meditate. Similar to Elizabeth Gilbert's Eat Pray Love, I was curious about finding balance in Bali. I would have to say that this was where I found my peace. This temple was like the famous temple run game. After my trip to Uluwatu, I developed my slight fear for monkeys but the ones here are harmless and will not bother you. Ubud contrasts the capital city of Bali. You will easily find lush mountains, rice fields and beautiful villas. As a hotelier, my knowledge in hotels is expensive. Discovering that Four Seasons had put up a property in the area was complete validation of the town's beauty. Villas here are easy to find and are affordable too. A wide variety of choices are easily available at Booking.com or Expedia. Just outside mainland Bali, there are two islands about 30 minutes away by boat. One of my goals was to really see Kelingking secret point and I was able to thanks to Penida Tours. The day tour was affordable and I was able to explore a couple of sights for an entire day. If you prefer to do it by yourself, it's easy as well. Head over to Sanur beach and purchase a ticket to Nusa Penida. Curiosity will strike you the moment you step out of the airport. Thousands of these offerings are scattered around the island. Be careful and do not step on them. Food prices in Bali (Kuta and Ubud) are affordable in comparison to other places in South East Asia. Food could be as cheap as IDR 20,000 or about PHP 80. and beer should be about the same. Along Kuta beach, there are plenty of bars spread throughout and it could be a great stop to watch the waves go. Initially, I did not know the difference between both. I stayed in Kuta, which was closer to the airport and the centre of everything. You could easily find shops, malls, markets and tour operators in this area. Seminyak is on the other end of the coast. High end resorts like the W are in this area. Although, you could easily follow the beach for about 45 minutes by foot and it should take you Kuta or vice versa. And lastly, Kuta and Seminyak boasts one of the best sunsets I've ever seen. This is my first time in Indonesia and I'm really enjoying it a lot. Living in the Philippines is an advantage for me to be close to this beautiful Island. Cebu Pacific flies directly to Bali from Manila with great affordable prices. I am glad that I've maximised my stay although there are much more to see. At this point, I could really see myself living in Bali for a month. I hope you would give it a chance too.